In this interview, Thibault Van der Auwermeulen, Co-founder of ExpoPolis speaks about their technology challenges while building their solution, keeping pace with the tech advancements. In this interview, Brian Berns, CEO at Knoa Software, discusses visibility into employee interactions for improved productivity and how technology plays a crucial role in the daily lives of employees. Houlin Zhao was elective International Telecommunication Union (ITU) Secretary-General of the 19th diplomatist Conference in Busan, Korea, in October 2014. He took up his post on 1 January, 2015. Mr. Houlin Zhao, Secretary-General at International Telecommunication Union (ITU) discusses their vision of bridging the digital gap between the developed and developing nations. The Digital Enterprise is a web-only publication with a sharp editorial focus on the multiple facets of enterprise digital transformation. Follow us on Facebook to unlock all the information you are looking for on Digital Transformation. The Digital Enterprise is a handy resource for actionable perspectives on digital transformation for the enterprise. 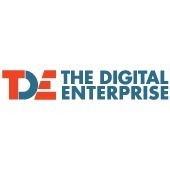 Follow us on LinkedIn to stay up to date with The Digital Enterprise. In this interview, Mr. Houlin Zhao, Secretary-General at International Telecommunication Union (ITU) discusses their vision of bridging the digital gap between the developed and developing nations, the importance of enhancing digital skills and why it is critical to support SMBs, who are most often the breeding ground for new ideas. SecBI’s Autonomous Investigation technology provides automatic detection and investigation that drastically reduces security teams’ response times for comprehensive remediation. In this interview, Noam Neumann, COO, Glispa shares mobile ad tech insights and discusses how performance marketing can drive better user experiences and suggests tips for engaging mobile-only millenials as they take control of their experiences. In this interview, Michael Regulski, Finance Director at Bay County Medical Care Facility, elaborates on identifying opportunities to enhance processes via digital solutions. He discusses how their DX initiative helped optimize time by 50% while improving the overall financial productivity of the facility. Read what Bob Brzozowski, President at Techniplas North America thinks about shaping the future of transportation, using data-enabled cognitive tech for personalization and sustainable mobility, and leveraging wireless or the internet to enhance connectivity. In this interview, David Sikora, CEO at ALTR elaborates on blockchain’s “digital truth”, why enterprises need to start treating data like they do their money, addressing data breaches in the midst of a digital initiative and stresses the need for a proactive rather than a reactive approach to security. Michael Friedin is the Chief Strategy Officer of Hot Paper Lantern, a consultancy that fuses deep expertise in marketing communications with technology solutions to help brands navigate the complexities of the digital economy. In this interview, Shyam Rao, Co-founder & CEO at Punchh discusses how outdated technologies can hamper massive revenue opportunities for retailers, how ROI must be realized in months not years and leveraging analytics to beat competitors to the punch.